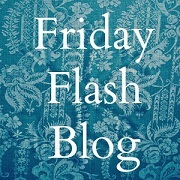 I am going journal crazy right now. I already had an Art Journal but I wasn’t using it much. I signed up for the Art, Heart & Healing class at http://www.willowing.ning.com/ which just happens to be a free class that can be taken at any time. I will be painting a self portrait or something that represents me in my art journal in the next few days. The class has video’s that teach you how to draw a face and what I’ve seen so far looks great. 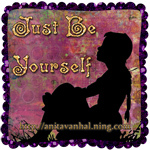 I’m also doing a SOAR journal at at site called Just Be Yourself. I can’t wait to get going on that one. That is not really an art journal but it’s a way to make the most out of your year. They have a lot of nice graphics that you can print up and paste into your journal. Mine will definitely have some art in it though since I can’t help but doodle all over everything. 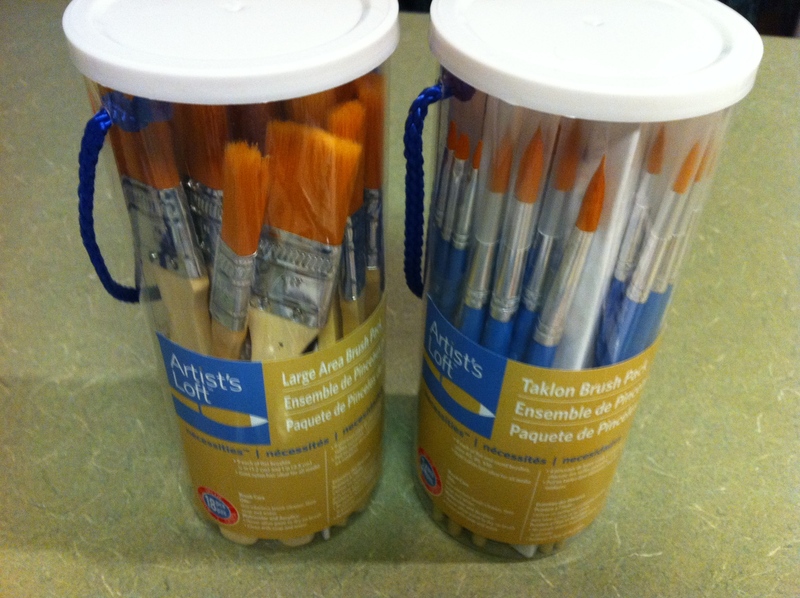 Well, today I was out for my doctor’s appointment and I wanted to go to Michael’s to look for some paint brushes. 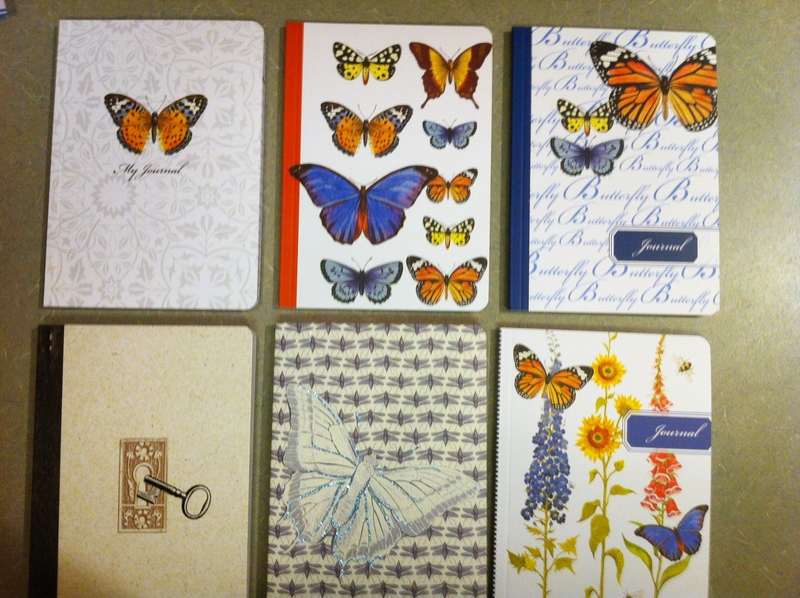 I ended up buying a bunch more journals. 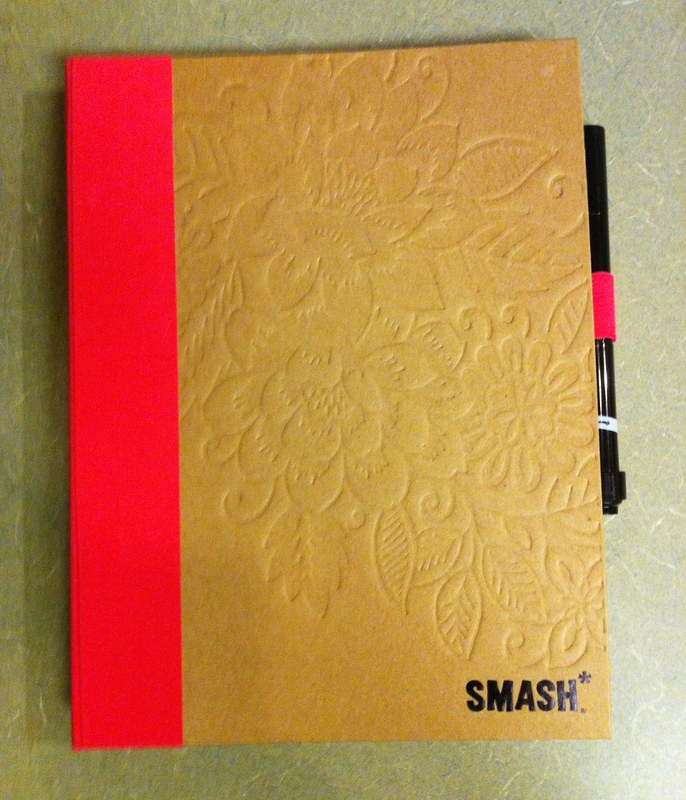 I bought a SMASH Journal by K & Company and some goodies to go with it. 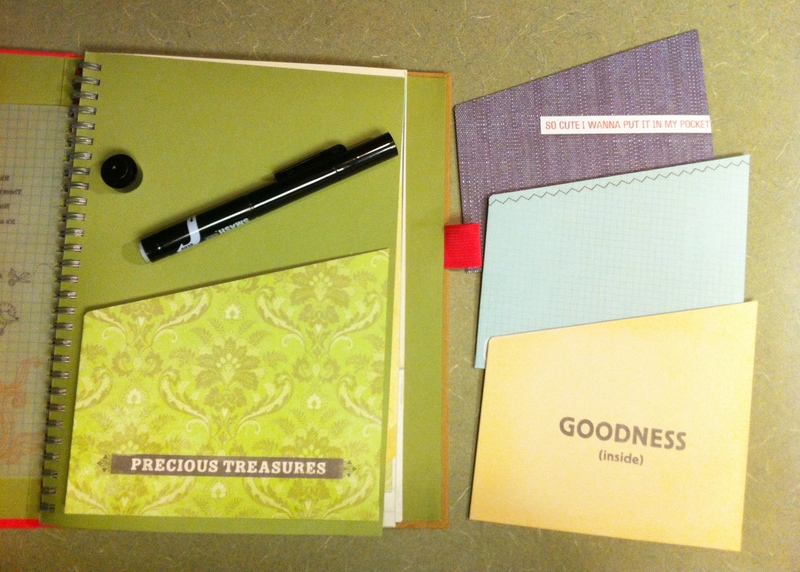 They have a lot of neat accessories to go with their journals. 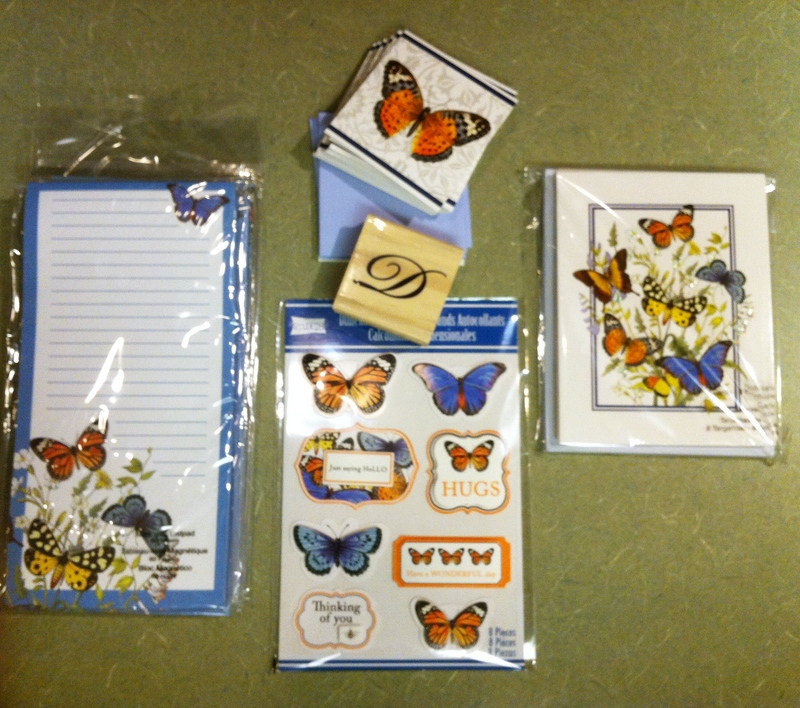 They have neat tabs, pockets to add to whatever pages you want, decorative tape, brads, paperclips, sticky note type markers…. etc. They also have these small tablets with tear out pages that you can add… like say a to do list or a quote. It depends on which ones you get. The journal comes with a black pen with a glue stick on the other end but you can buy more of the pens with blue or pink ink. I really wanted purple though so I bought a La Pen in Amethyst. I bought the pink journal that you can see above. I had actually planned on buying the blue journal since I really liked the design on the front but I didn’t like the designs on the inside pages as much as the pink one. There are several different styles and I just assumed the inside pages would be the same but they actually revolve around a theme. I bought some of the fabric tabs and some pockets for loose things. 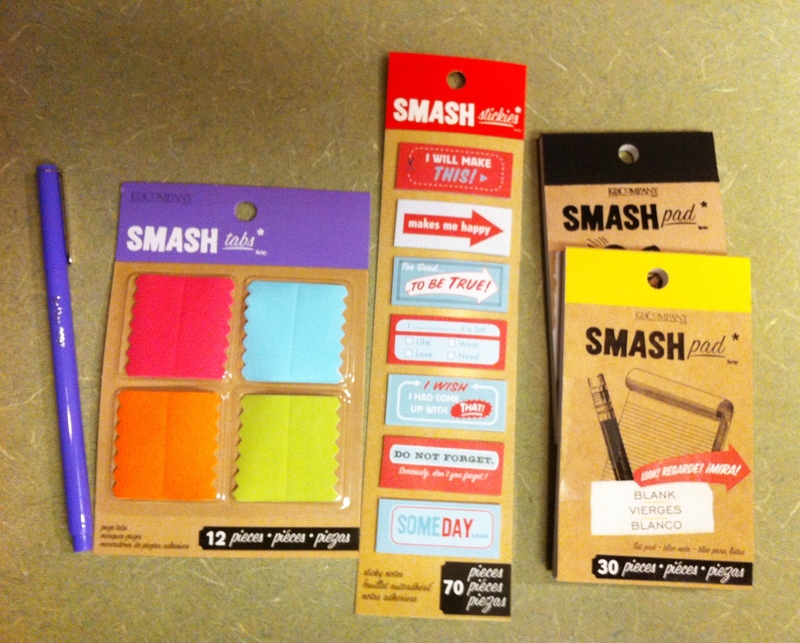 I also bought these red & blue smash stickers that are like those sticky flags that I usually use for marking pages. I also bought these pads of papers that you can use to add lists or whatever to your pages… I got the Blank smash pad for adding To-do lists or random thoughts I want to remember and the word of mouth smash pad for adding quotes. My pink journal - The color is off. It really does look the same as the one pictured above. I almost forgot about the Monogram D rubber stamp! I’m glad I didn’t forget the thing I actually went here for. These were on sale. I like buying things that have containers to keep them in. My husband swung by and picked up McDonald’s for me so I could eat at home. I didn’t want to get out of the car again since it was so cold. I’m not sure I like those new chicken things. They are like popcorn chicken but they are hard. I think they are just overcooked but it seems like you get more batter than chicken. The honey mustard sauce makes everything better though. The best part is the fries though. Yum. This was the second time I saw this new doctor since my old one suddenly changed where he worked and then was strangely never heard from again. My husband went with me since he had some questions too. He’s been very worried about me lately. She is going to change my medications around a bit and hopefully it will help the Fibromyalgia pain! I’ve got my fingers and toes crossed that it does. She also wants me to see some sort of therapist that supposedly can help with pain management. Mmmmmmmm I’ve never heard of that. I’ll have to do some research. She ordered some labs and they only stuck me 4 times. I had bandages all over me. I actually felt bad for them because I know it’s me and not them. I can tell when they are competent and they were. The first girl was really kicking herself for sticking me twice so she called someone else. The second lady is their super sticker queen and she even had to stick me twice. They are going to test some vitamin levels and other stuff. The doctor looked at my old labs and said my B12 levels have been low but that’s the first I’ve heard of that. How annoying. She is also testing Vitamin D levels this time around. She is taking me off the narcotics that I was on and having me try some muscle relaxants. I’m also going to try raising the Cymbalta dose to 60mg again. The first time I tried that it made me a zombie. She said it does make you feel tired in the beginning and I should have been started gradually on it instead of taking 60mg right from the beginning. So, I wonder if she knows her stuff… I guess I’ll find out. Hopefully I won’t end up in crazy pain or I’ll lost my mind. That’s the same smash journal I want! Although I do like the others, too, I like the pages inside the pink one best. I’ve seen the Smash journals online and I know they have tons of goodies that go with them, too. Cool! 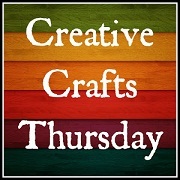 I’m going a little journal crazy lately, too–as far as I have the SOAR journal, regular a writing journal, my art journal, and want to incorporate the AHH classes in there somewhere, too. I think I am going to see if I can try to use the SOAR journal for the AHH, but it is a composition notebook and the pages are thin…??? We’ll see how it goes.